Below are a range of useful resources and links to websites where you can find helpful information in addition to the leaflet Ready For School? A Professionals Guide. 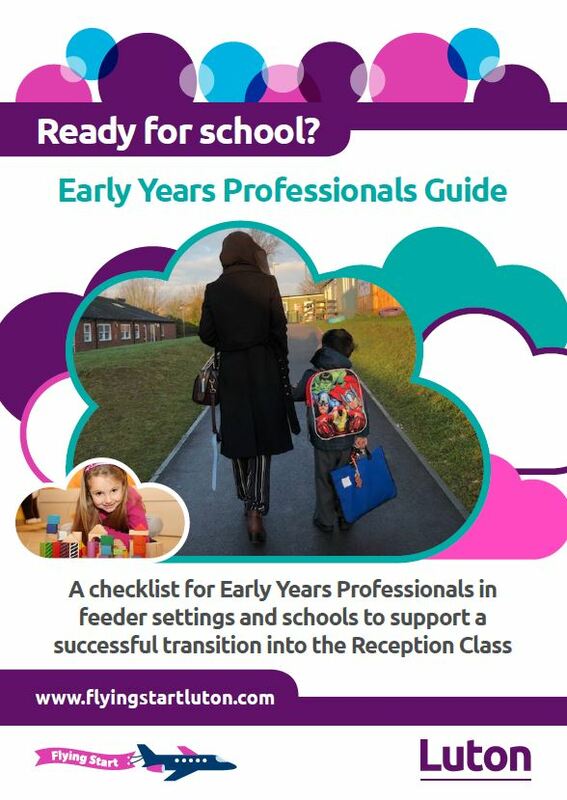 Resources are provided to allow you to support parents and children as they leave your childcare setting or as you prepare to receive them at your school. Free one day Five to Thrive training is available for all professionals working with under fives in Luton. This provides staff with a good understanding of attachment and brain development and provides useful insight into how they can incorporate the five simple messages into their everyday work with parents. These are our ‘building blocks for a healthy brain’. They are drawn from research into the key processes of attachment and attunement that forge bonds between young children and their carers. Crucially, they are designed to support positive feedback processes, enabling practitioners to observe and reinforce positive interaction between parents and their children. To book a 2 hour inset training on transition and attachment for your school please contact Sue Thomas susan.thomas@luton.gov.uk. This is currently funded and will be available from September 2018.